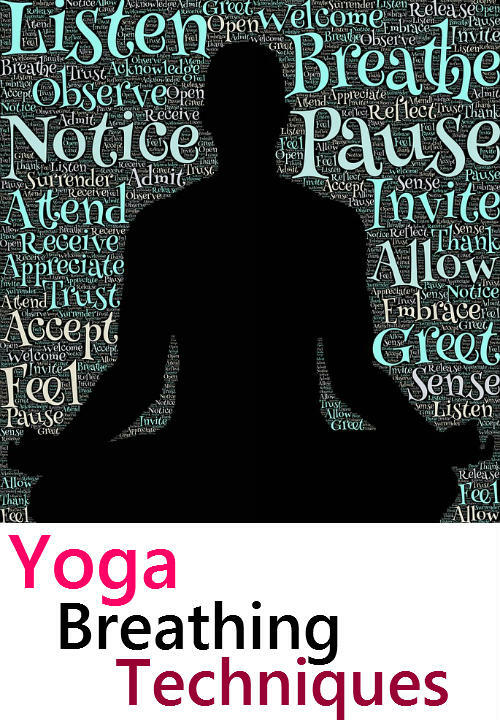 Yoga breathing techniques are a boon to the modern world. It eases the depression and the tension of the modern age. They inculcate the power of the positivity in people. The healthy yogic practices instill the person with more oxygen that helps to revive with oxygen. This helps in the relieve of stress and other negative impacts of the body. 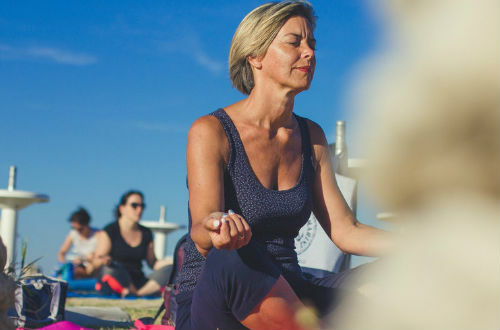 The breathing exercises when regularly practiced helps to improve the condition of the human cells and maintains the health of the people at the most desired level. The other forms of non-yogic breathing exercises are of no help to improve the condition of the people. They do not remove the toxic accumulation in the body. It makes the people to be tired and brings down the mental capabilities of the people. Whether the person does his regular exercise of Pranayama with or without foreknowledge of it is of least importance. The mere act of simply doing it will result in the reaping of fruits. Do you really know what the yoga breathing exercises are and how to do that? Just read on! Seating oneself comfortably on a chair. The eyes must be closed slowly with no real pangs or distress about the worries of life. The imagination of a swan in the waters peacefully gliding. Inhale and exhale through the nose according to the imagination of the movements of the swan. The process of breathing must be done fully. The inhaling of the air must be done as fully as it can and the exhaled air must be complete. This can be done for a number of times the person can do it comfortably. Then the person must be seated for about some minutes to witness the changes that get effect in one’s own mind. There are many types of breathing techniques used in the age old practices of yoga. It helps to increase one’s chances of not being affected by the negative side effects that catch up with a person anyway. The stabilization in the body helps in the proper functioning of the body. The breathing in and the breathing out of air must be done in the same rhythmic manner. The counts must be the same for the both of the processes. For example for the new beginners the counts must not be more than four. For a count of four, the air must be inhaled in and for the same count the air must be exhaled out. The perfect place to practice it can be anywhere, but it must be calm. After regular practice the person can increase his breathing counts. This works great before the advent of writing any exam. The person who is used to depression will not understand the process of controlling the mind. But by constant practice it can be attained. The person has to place one hand on his chest and the other on his stomach. He/she has to breathe in and out with the imagination that the lungs stretches it more when it is filled with more and more air. This has to be maintained for about ten minutes with eight deep breaths. The regular application of this technique helps to lower the rates of the heart and the blood pressure to a more systematic way. This type of breathing technique can be used anywhere. The person may also use it when he walks on the road. This aims to relax the muscles of the body from the scalp to the tip of the toe. The relaxation technique of the muscles must be done by focusing on the muscles for five seconds and inhaling and exhaling the air. The focus must be shifted from the toe to the knees, thighs, hips, stomach, chest, neck, jaw, eyes and finally the head. The person must breathe out only after the person feels relaxed. This breathing technique has been hailed as the best friend of saints. It makes both the spheres of the brain to be healthy and active. The person must sit in a calm and comfortable place. He must cover the right nostril with his right thumb and inhale by his left nostril. When he has drawn much air and has been in that position for a long time he must close his left nostril and exhale by his right nostril. Then the left nostril must be closed with the left thumb and the process must be done accordingly. It is suggested that the person must not try it at night as this has been known to keep a person wide awake. The breath increases the energy of the person from within. The person must calm himself down and take slow deep breaths followed by quick exhaling of air. This must be practiced for a long time and after the regular doing, its pace must be quickened further. It helps to warm oneself and eradicate all the intact negative energy that is in the body. It warms the body of the person in such a way that it is not possible to slag behind. Sometimes, the person must head to his favorite spot and sit down. The person must then start visualizes his favorite scenes by listening to a song. This sense of yoga helps to increase the spirit of the person rather than giving entry to the worries that lurk in his senses.